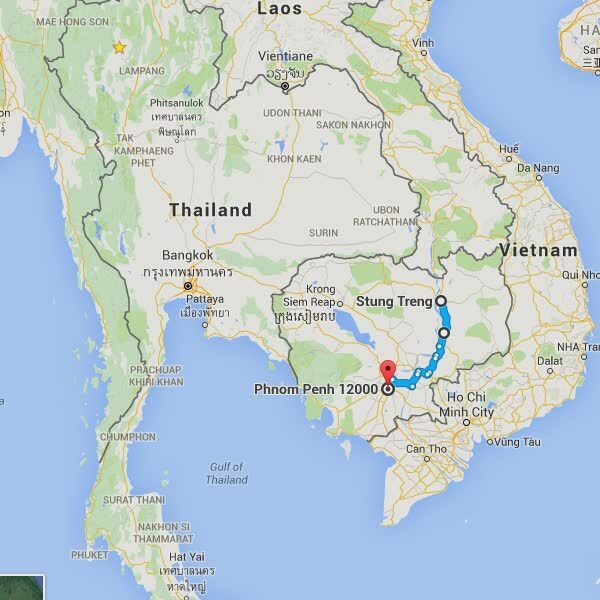 Day 33’s route – Stung Treng to Phnom Penh. Approximately 400km. 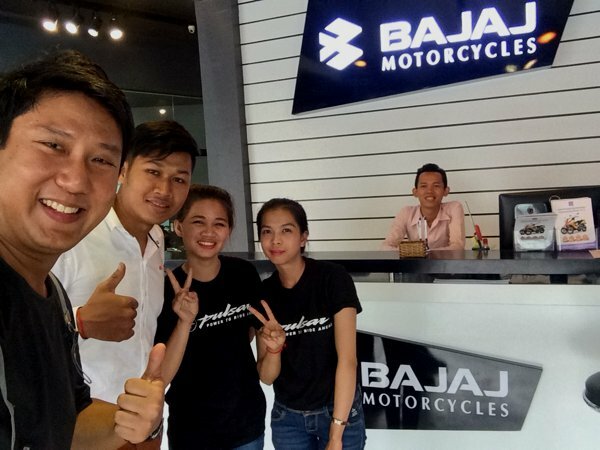 From my online research, I knew that Phnom Penh has a Bajaj dealership. So I was really looking forward to drop by to get my chain and sprocket set replaced. It’s about 37,000km on my odometer, and as I’m the 2nd owner without the previous owner’s maintenance records, I honestly do not know if this was the original chain that came with the bike new, or if it’s ever been replaced. But of late, I’ve been needing more frequent chain tension adjustments and did notice that the chain was beginning to wear unevenly. 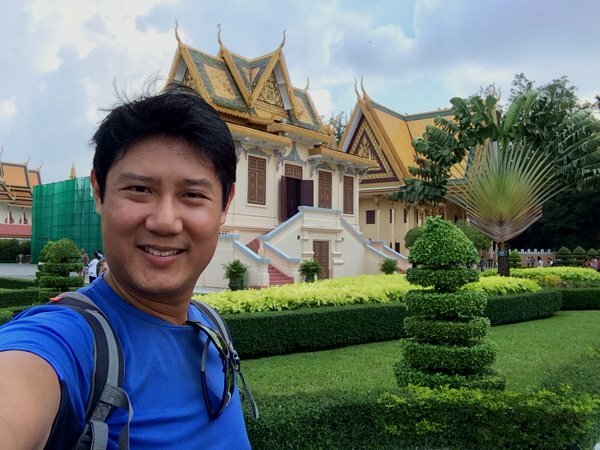 Riding in Phnom Penh was a very different experience – and something that reminded me why I tend to avoid the capital cities in these developing nations. There are only 2 rules here – do not hit anyone and do not let anyone hit you. Everything else, are just guidelines – including traffic lights. Green light means go, but look out for anything that might come from your left, your right, or even directly in front of you. Red light merely means recommended to stop, but if you see a path in front of you, just move along. Motorcycles outnumber any other types of vehicles here, and not a minute goes by without hearing the sound of a horn of a vehicle. 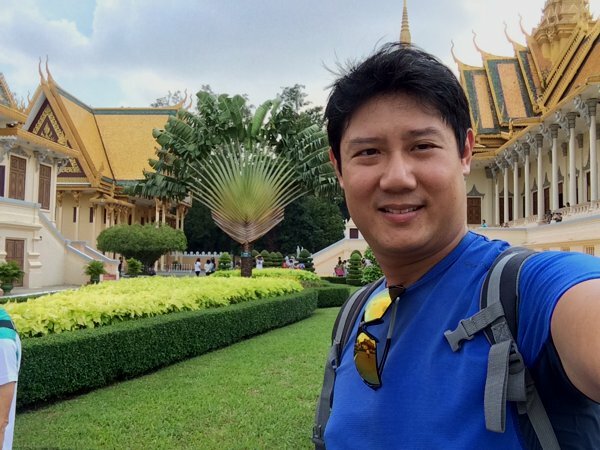 But unlike in Singapore – where the horn has somewhat evolved into a “scolding mechanism”, the horn sounds here stay true to their intended nature of a “warning mechanism” – warning others of your presence on the road. It’s simply road madness here! 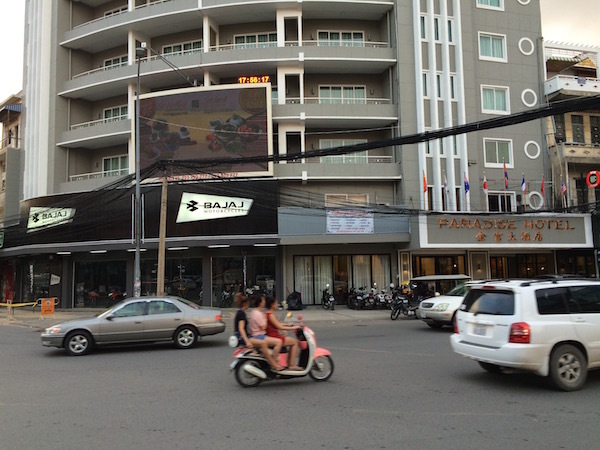 And just when I arrived in Phnom Penh, while searching for a place to stay, I spotted the Bajaj dealership! As it’s a Sunday the next day, I was afraid that they might not be opened – so, with all my luggage in tow, I turned in immediately. 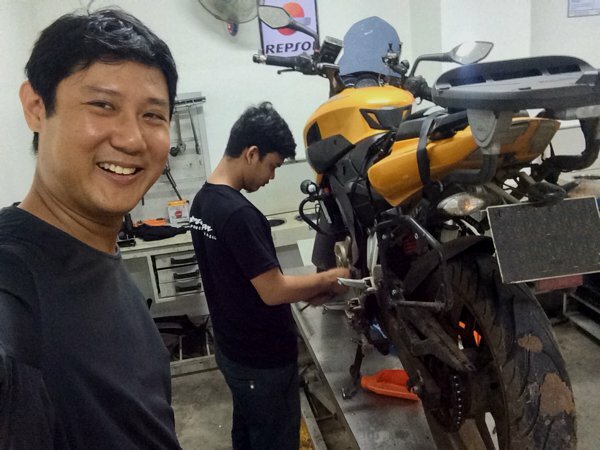 The Bajaj Phon Penh dealership. GPS 11.567462 104.918732. 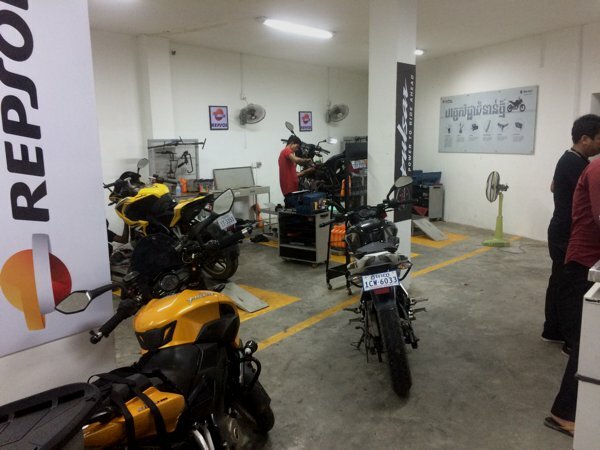 The servicing area of Bajaj Phom Penh. Clean and neat. Very professional indeed! Front indicator assemblies – LH & RH. USD6.00 ea. The chain, sprockets and rear brake pads were necessary. The rear pads were almost gone due to the brake binding issue. 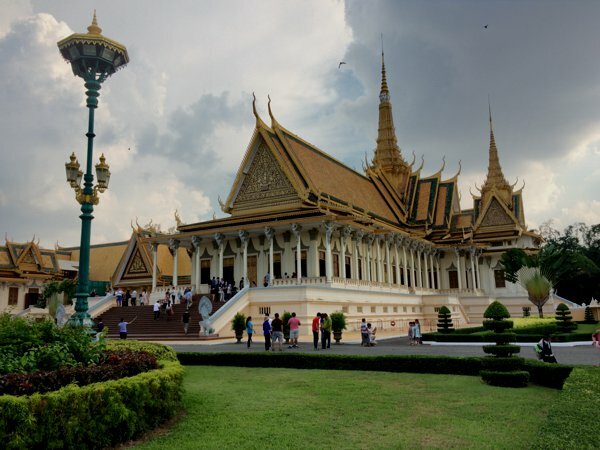 The rest were merely cosmetic replacements due to the drop in Luang Prabang – since it’s generally cheaper to replace them here than back in Singapore. And while the bike was being serviced, I got myself a room in the hotel just above the Bajaj dealership, and started moving some of my stuff to the hotel room. 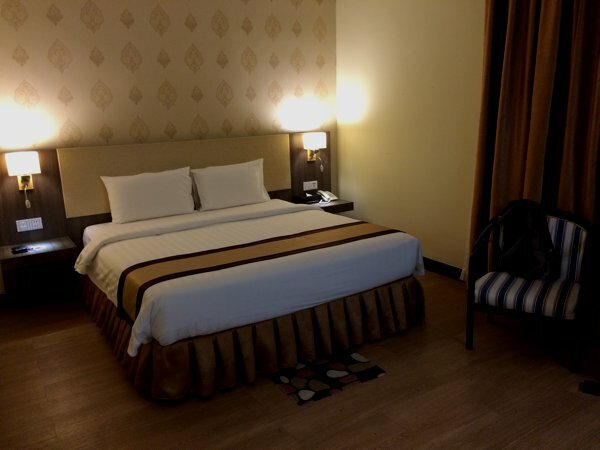 USD35 a night – the most I’ve spent on a room in this trip so far. I thought I should give myself a treat after so many days on the road. Also, they accept credit cards, which after spending at the Bajaj dealership, saved me from having to withdraw more cash. Street food for dinner. 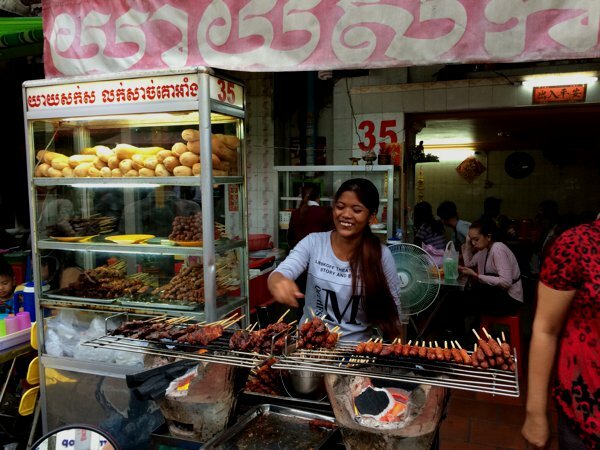 I loved the skewered satay / kebab with baguette. 24 July 2016, Sunday. As I lived at the hotel just above the Bajaj dealership, the Bajaj staff left a message at the hotel concierge to invite me over to the Bajaj showroom the next morning as they wanted to give me a gift. They gave me a free Pulsar t-shirt! I’m one of them now! Hahah. 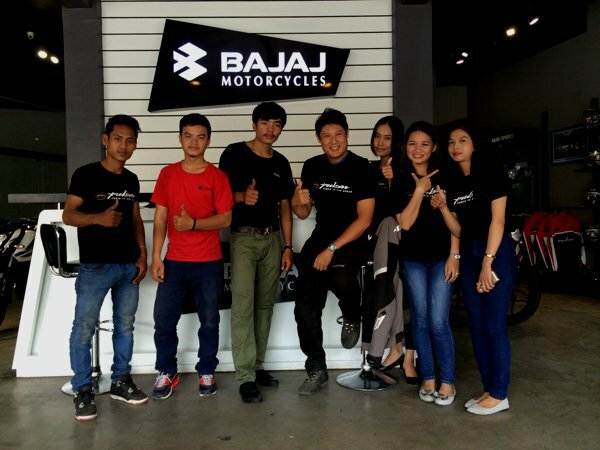 The pretty sales ladies at the Bajaj Phom Penh dealership. We took a group shot with my Pulsar 200NS. 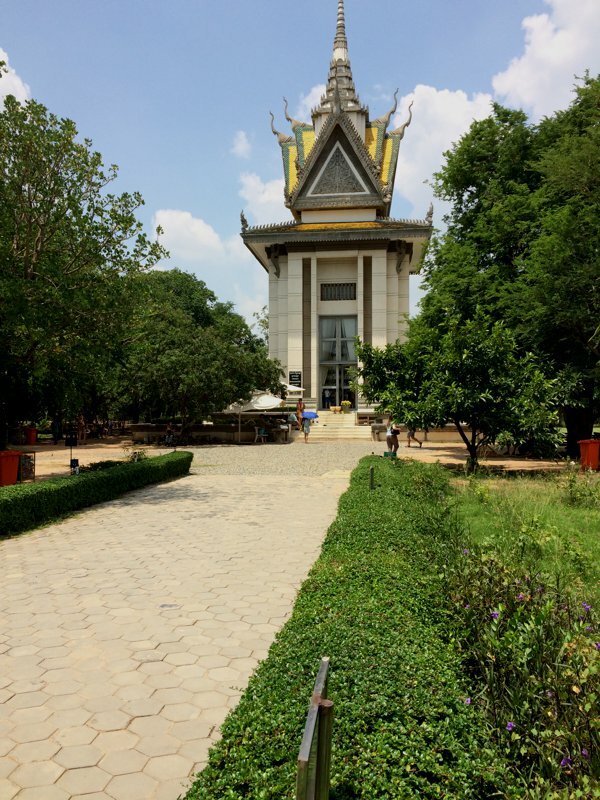 After the royal treatment at the Bajaj dealership, I headed to the Choeung Ek Genocidal Centre to learn about the history of the Khmer Rouge regime and the atrocities they did on their own people. The site (one of the many mass killing fields) wasn’t too large, and honestly have not much to see too. But the complimentary audio guide was amazing – which takes the visitor through the mass burial site and the stories behind it. I was transported back in time for about an hour or so. 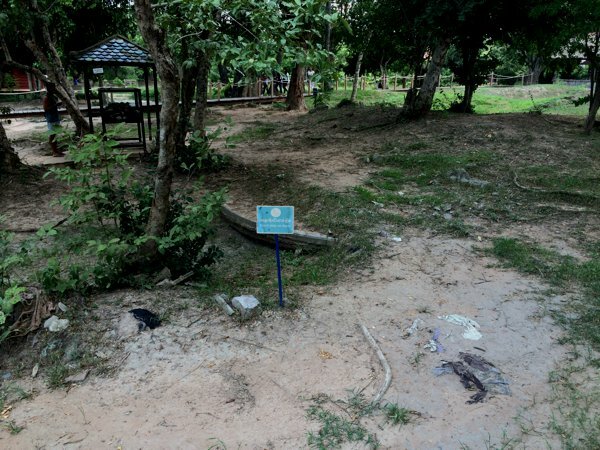 One of the many mass burial sites in Choeung Ek. You can still spot bone fragments and cloth – possibly from the clothing of the buried – here. 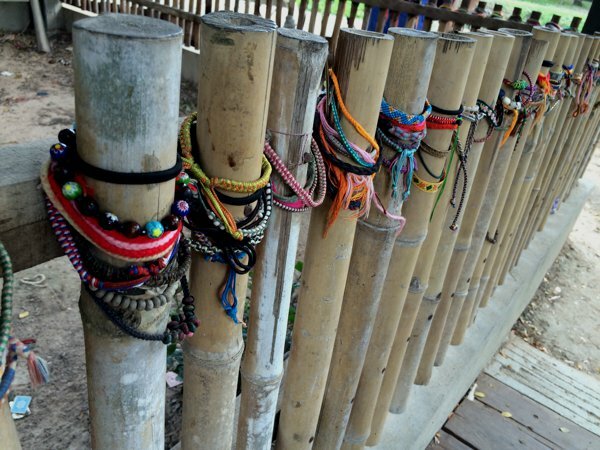 Remembrance bands left by visitors around one of the mass burial sites. 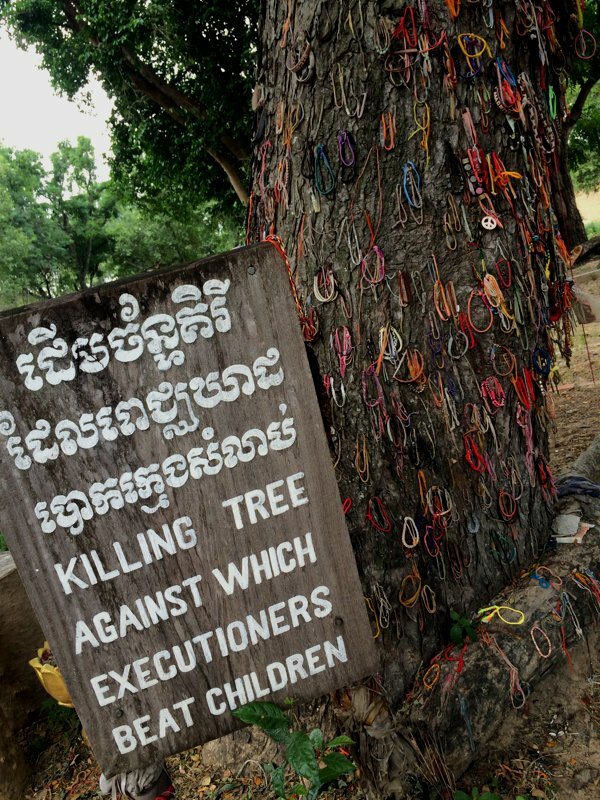 Can you actually believe that the executioners of the Pol Pot’s Khmer Rouge regime actually held children by their legs and slammed them against this tree? They were killed, of course. I actually shed a tear when I going through the audio commentary and saw this tree. The remembrance stupa which housed many of the retrieved skulls and bone fragments. Most of them had fractures in them – which suggested they used some very brutal force on the skull to kill the victim. Out of respect to the deceased, I didn’t take any photos of the skulls. 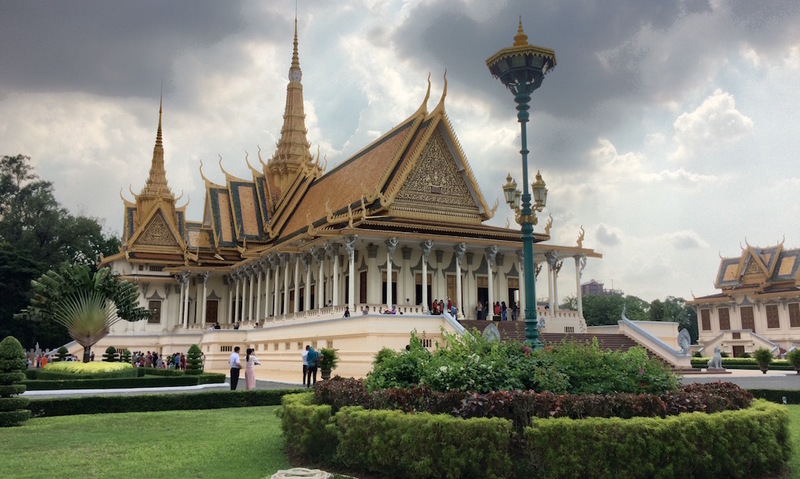 Headed back to town and visited the Royal Palace. 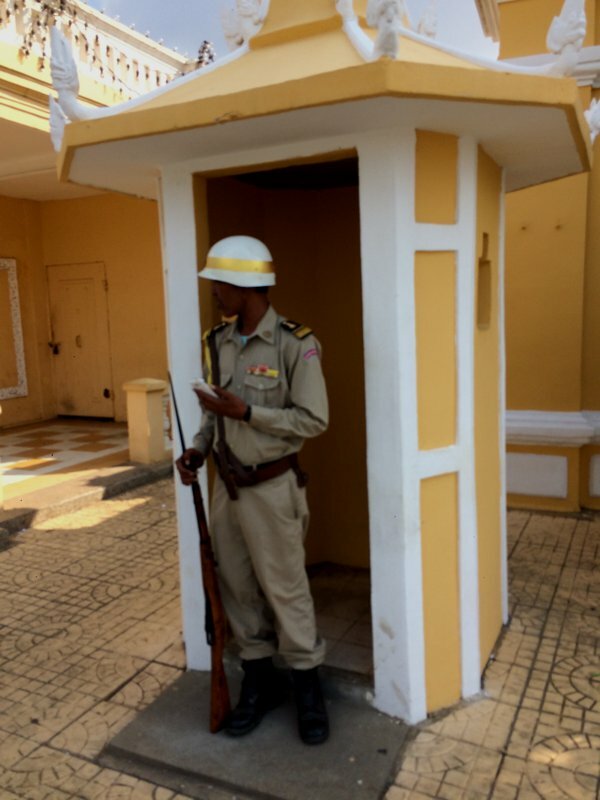 The Royal Guard at the Royal Palace ain’t like those in Buckingham. This guy was standing sloppily and texting on his mobile phone. His partner on the other side was watching a video on his mobile phone. One of the beautifully decorated halls within the Royal Palace compound. 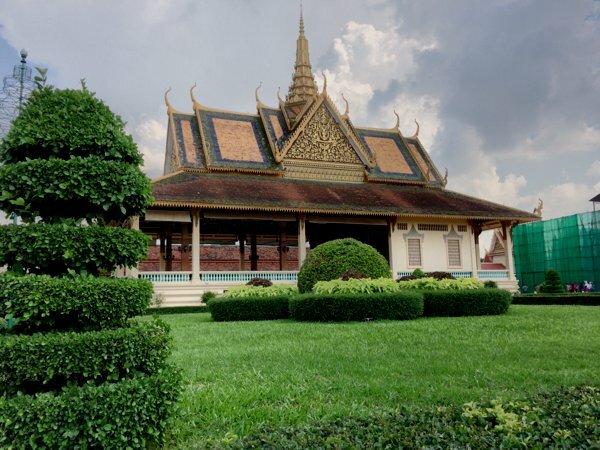 I loved the manicured plants within the Royal Palace compound. Another view of the neatly trimmed plants in the palace compound. Dinner at a restaurant called Romdeng. It was a recommendation from a hotel staff. 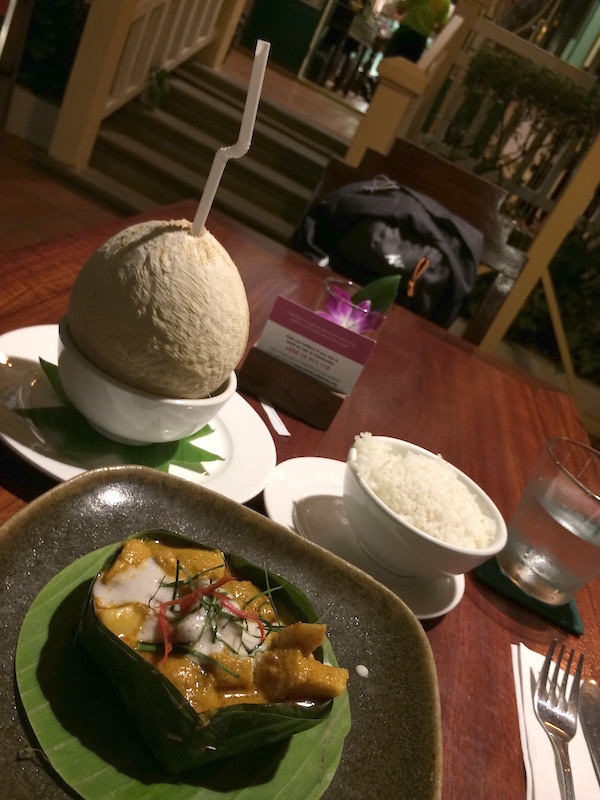 I ordered the fish amok and a young coconut.